The first day of spring has come and gone, which means that two of my favorite neighborhood soft serve stands have opened for the season. It may have only been 26 degrees when I went out yesterday morning, but that isn’t going to keep me from my ice cream. Once the local shops open, it’s fair game. I’ve had this particular ice cream on the brain since I first cracked open Sweet Cream and Sugar Cones last summer. The title pretty much says it all, right? This ice cream absolutely lives up to its amazing-sounding name and ranks up there as one of the best that have been churned in my kitchen. So, what makes this ice cream so heavenly? A vanilla ice cream base is laced with a healthy amount of malted milk powder, giving the ice cream a distinct malt milkshake flavor. Throw in bits of homemade peanut brittle, which are softened ever so slightly by the ice cream and add a wonderful salty, chewy contrast to the malted vanilla. Finally, chop up your favorite milk chocolate (I used Ghiradelli) and throw that in for good measure, as well. The sweetness counters the salty peanut brittle perfectly, and the marriage of the three is a match made in ice cream heaven. I’ve cleared out a permanent space in my freezer for this one! Do you frequent neighborhood ice cream shops? What are some of your favorite local treats? 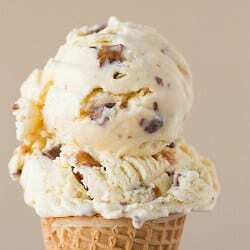 A malted vanilla ice cream is loaded with chunks of peanut brittle and milk chocolate. Make the Ice Cream Custard: Place a fine-mesh strainer over a large bowl; set aside. In a medium bowl, whisk the egg yolks briefly to break them up. Whisk in the malted milk powder (it will resemble a thick paste); set aside. In a medium-sized heavy saucepan, stir together the heavy cream, milk, sugar and salt. Place over medium-high heat and warm until the mixture just begins to reach a simmer, then reduce the heat to medium. Using a ladle, scoop out some of the cream mixture and whisk into the egg yolks. Repeat with another ladle-full of cream mixture, whisking constantly. Use a spatula to scrape the warmed egg mixture back into the saucepan. Cook the mixture over medium heat, stirring constantly, until it is thickened and coats the back of the spatula, about 1 to 2 minutes longer. If you have an instant-read digital thermometer, the mixture should be between 170 and 175 degrees F.
Pour the mixture through the fine-mesh sieve into the bowl. Place the bowl in an ice bath and allow to cool completely. Cover and refrigerate for at least 4 hours, or overnight. Make the Peanut Brittle: Line a large baking or cookie sheet with parchment paper; set aside. Combine the sugar, water, corn syrup and salt in a small, heavy saucepan. 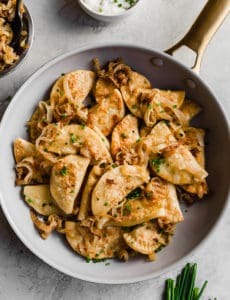 Place the pan over medium heat and cook without stirring until the mixture reaches 280 degrees F, which may take as long as 20 to 25 minutes. Once it reaches temperature, stir in the peanuts and stir frequently until the peanuts begin to smell toasted and the syrup is a mahogany color (about 5 minutes). Remove from the heat and stir in the baking soda (it will bubble up) until thoroughly mixed in, then stir in the butter. 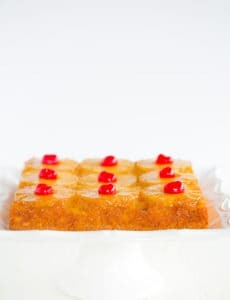 Pour the mixture onto the prepared baking sheet and, using a spatula, work quickly to spread the mixture into a thin, even layer. Allow the brittle to cool to room temperature (about 1 hour). 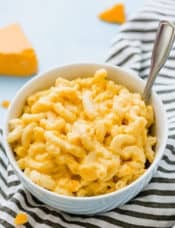 Finely chop enough of it to measure ½ cup to use in the recipe; the remainder can be broken into large pieces and stored at room temperature in an airtight container for another use. Churn the Ice Cream Custard: Add the vanilla extract to the custard base and stir until it is thoroughly blended in. Freeze the ice cream in your ice cream maker according to the manufacturer's instructions. Once the ice is done churning, fold in the ½ cup of chopped peanut brittle and the milk chocolate chunks with a rubber spatula. 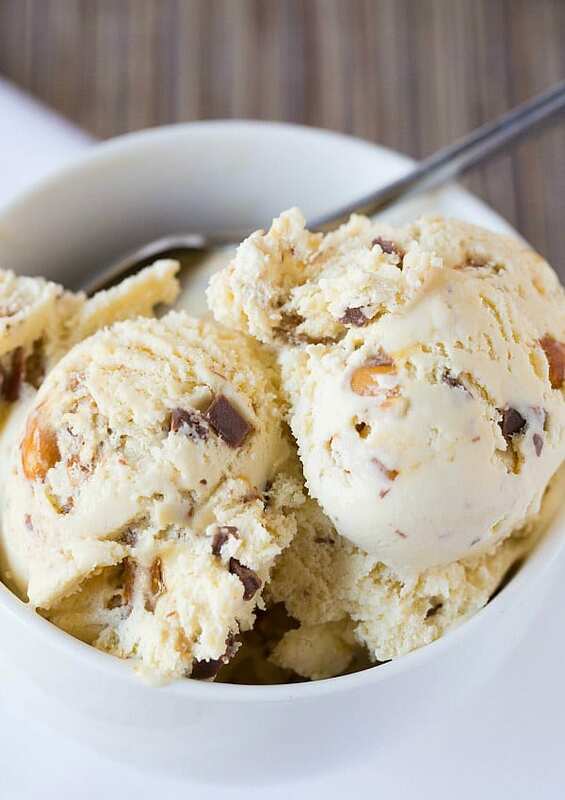 Transfer the ice cream to a freezer-safe container and freeze for at least 4 hours. Hello, this looks so yummy. I plan to make it today. Do I buy unsalted peanuts for the brittle or salted ones? Thank you! Hi Jessica, I prefer salted, but you can use either one! I just want to make sure I’ve got my ingredients correct here…in this recipe you call for malted milk powder, but in the malted milk ice cream you call for malt powder…I believe these are two separate things, but the ingredients are correct as listed, yes? 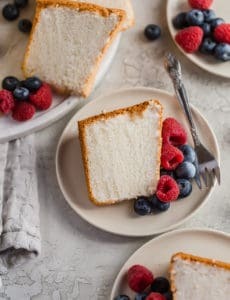 Thanks for creating this treat of a recipe! I was looking for an ice cream recipe to use up some peanut brittle, and then finding this recippe with malted milk powder in it was a winner. I used two whole eggs and three yolks which worked fine. I’d probably lower the sugar content a little too. Wow!!! What more can I say…wow! This was the most amazing ice cream I have made in my new ice cream maker. I have never had “malt” anything that I am aware of, but I am definitely a fan. Way better than the basic vanilla I made that just tasted like frozen whipped cream. Super easy to make and it turned out great. You are now my Ice Cream God :) Thanks so much for so many wonderful recipes. I’m going to try the Smores ice cream tomorrow. Can’t wait. I love the idea of malted milk in the recipe. Anything with peanut brittle and chocolate has got to be good!!! Was looking for comments on how it turned out. Seems most postes are “Looks good” – “Gotta try this”. Not helpful. This is making me hungry for summer already! Malted milk powder is such a great idea for this. WOW! Love these flavors. I was telling my husband a few weeks ago that its been a while since I made ice cream and I should make some this summer. I’m definitely making this one. AWESOME! 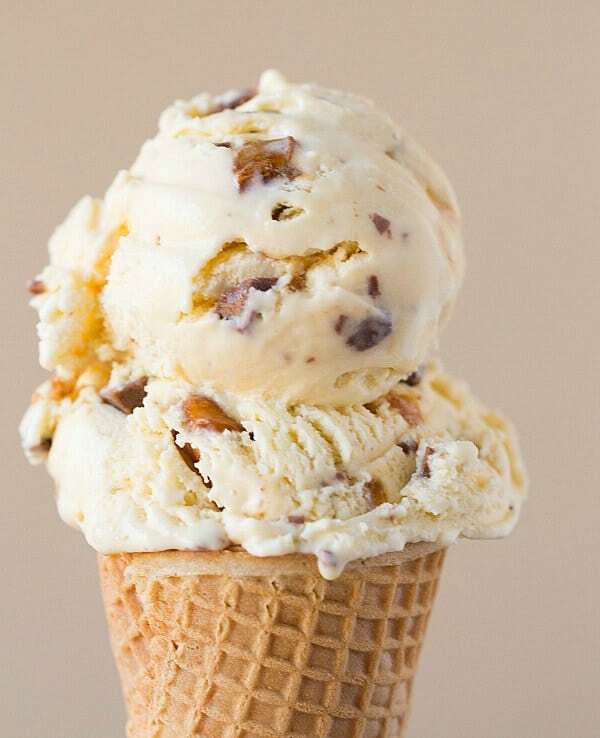 This ice cream looks delicious. I’m ready to start churning my own again, bring on summer! We have a favorite hometown ice cream shop, but it stays open year round. In Buffalo, you just gave to decide when spring starts, since it doesn’t warm up for months! Some of our ice cream shops opened in February and a couple stay open year round! Crazy! I would eat this ice cream year round. Love that it tastes like a malt and the addition of brittle. This looks simply amazing! Thank you soooo much as always, I LOVE your blog!!! I’m sure that the malted milk power makes all the difference in the flavor of the ice cream. ;-) It sounds delicious. 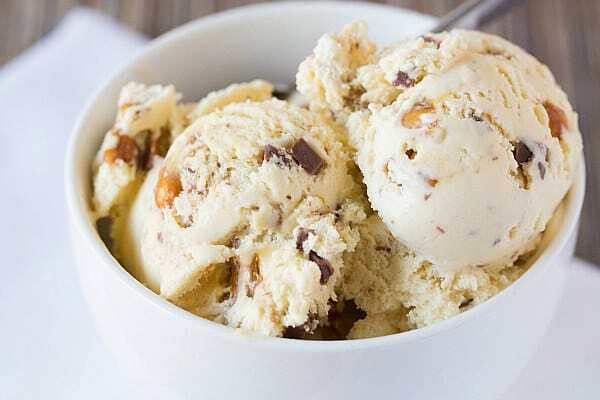 Ice cream is one of my favorite desserts anytime of the year. Now I really want some ice cream…haha!